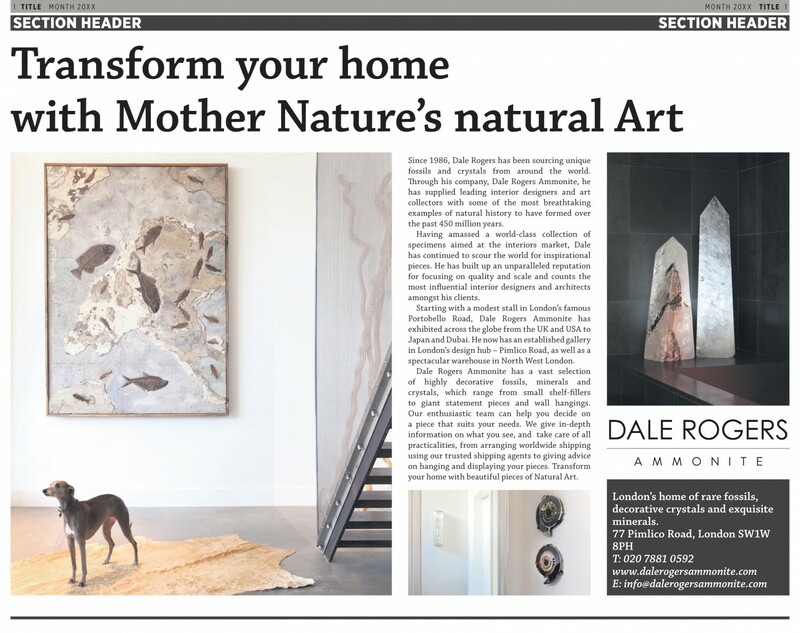 Last weekends feature in The Guardian Homes & Interior magazine. Taking pride of place in the feature was our stunning Knightia, Phareodus & Diplomystus Fossilised Fish plaque from the Green River Formation in Wyoming (*Whippet not included!). The piece also included the beautiful and rare Quartz Crystal point along with a Pyritised Ammonite pair from the Ulyanovsk region, Russia.